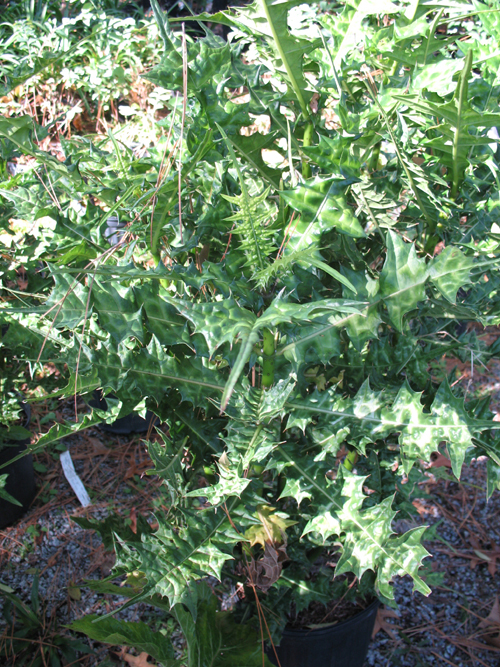 Comments: Noted for its coarse textured foliage with rigid spines. Tall floral spikes appear in summer with hooded flowers arranged along the upright floral stalk. Quite tropical in character. Can be grown in containers.